Print your own Evolve figures, in 3D! I would have laughed a good few years ago if you told me that you could use a printer to literally print legit, three dimensional objects. The technology finally took form, but what boggles my mind is that these 3D printers can be purchased in retails stores, . If you have one, you can stop printing an excess of plastic cups and finally put it to good use. 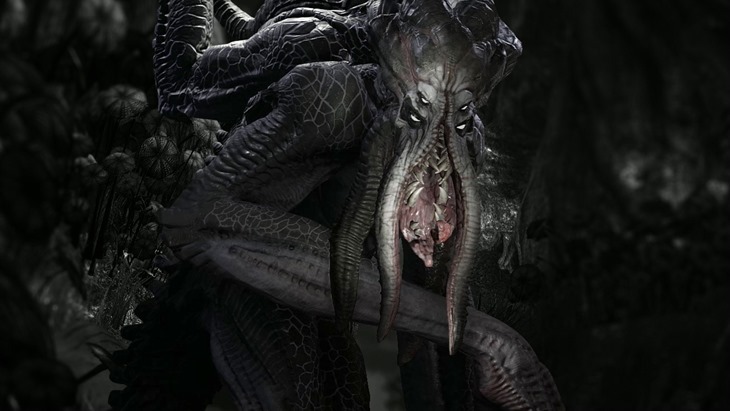 Evolve is a game that is getting lots of attention, netting awards left right and centre. It even nabbed one of our E3 2014 awards for best multiplayer .Turtle Rock Studios have released the 3D files for some of their Evolve characters, and all for free. Downloading these files will actually let you print these character figurines. Sure, they will only be printable in one colour, but if you’re an enthusiast and love this sort of thing, you could more than likely paint them to give them some real life. Accessing these files is incredibly simple. All you have to do is head over to the Evolve website and follow their simple instructions. Check out the video below for a peek at what the figures actually look like. Its actually a really good way of marketing the game prior to its launch on October 21st , at least to those who have the technology to play with. What do you think? Do you have a 3D printer lying around?